After two days of bad weather yesterday morning all the sailors left the dock to finish the round robin. The Australian’s team of WILL BOULDEN won the 8th edition of O.M. 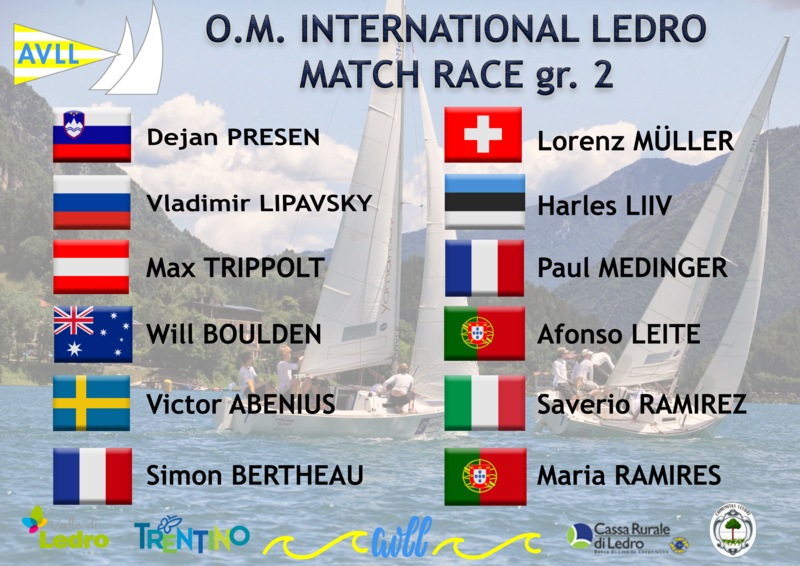 INTERNATIONAL LEDRO MATCH RACE, 11 matches won – 0 lost. Podium was completed by two french teams, SIMON BERTHEAU -2nd place- and PAUL MEDINGER -3rd place-. 4th place for LORENZ MÜLLERAfter two days of bad weather yesterday morning all the sailors left the dock to finish the round robin. 4th place for LORENZ MÜLLER (Switzerland) , followed by HARLES LIIV (Estonia) and DEJAN PRESEN (Slovenia) the winner of 2015. 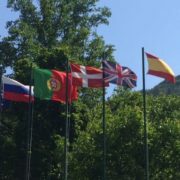 7th place for VLADIMIR LIPAVSKY (Russia), 8th MAX TRIPPOLT (Austria), 9th VICTOR ABENIUS (Sweden), 1oth AFONSO LEITE (Portugal), 11th place for the only one female team of MARIA RAMIRES (Portugal), completes the ranking Italian SAVERIO RAMIREZ. We hope for a better weather during EUROSAF MATCH RACING OPEN EUROPEAN CHAMPIONSHIP, starting on Wednesday. OM 2017 – FINAL RESULTS (Switzerland) , followed by HARLES LIIV (Estonia) and DEJAN PRESEN (Slovenia) the winner of 2015. Please pay attention to the following Notice. First briefing on June 24th will be at 9.00 am instead of 8.30 am. 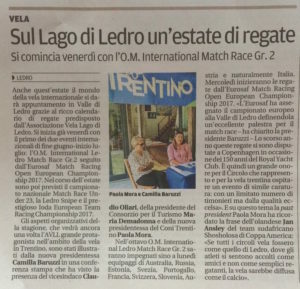 Here sailor’s impressions about AVLL and Ledro Lake! Thanks for being so kind with us! Yesterday we have presented at the Press Conference our calendar full of events. 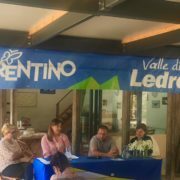 The races have already begun in May with the 33rd edition of the DUE GIORNI LEDRO TEAM RACE, a valid selection for the Optimist Italian Team Race Championship, but the clou of the season is starting from Friday. The AVLL is ready to host twelve teams from all over the world who will attend the classic “O.M. 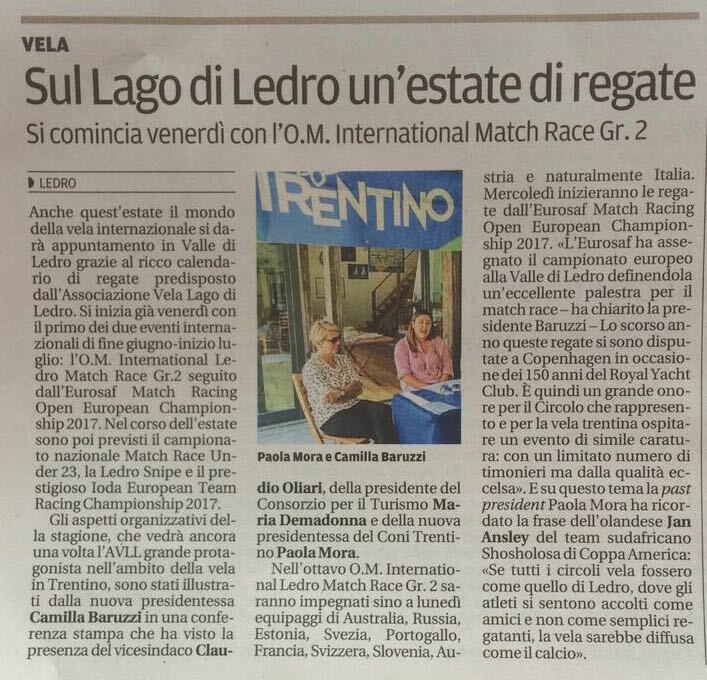 INTERNATIONAL LEDRO MATCH RACE” (here you can find the list of participants). 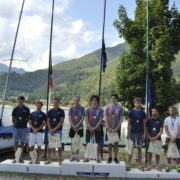 The races will end on Monday, and after one day of rest, “EUROSAF MATCH RACING EUROPEAN OPEN CHAMPIONSHIP” will start, the best twelve european crews that will represent their Nation. The continental title will be awarded on Sunday.